I am feeling not pregnant at all, and hence I have been worrying about whether the baby is okay. I always feel this way between 13-16 weeks. I am out of the first trimester, so all those annoying, but reassuring, symptoms are gone, all my clothes still fit, and it's too early to feel the baby move yet. I am just looking forward to some baby flutters! I thought I felt something the other day, but it only happened once, so I'm not sure if it was baby. On a happy note, my energy is back! I think I accomplished more last week than I did during the entire first trimester. Which is a good thing, with all the Easter and Clyde's first birthday party stuff coming up over the next couple weeks! As for cravings - the only thing that consistently sounds good is still vegetables. I also had a bowl of spaghetti this week that tasted better than any spaghetti I have ever had in my life (and the sauce was from a jar, no less). Food has been generally disappointing though. Something will sound like it might be good, but then I try it and it's just. . . okay. Baby is 3.5 inches from head to rump (or about 5 inches from head to toe). That is a big, little baby! I look at my stomach and have a hard time believing there is a baby that big in there already. Baby #4 is busy growing peach-fuzz hair and maybe sucking his/her thumb. I even found this cute video of a 14 week old baby clapping their hands. So adorable! It is just incredible, what unique little individuals babies are, even at such an early age. As for my baby specifically, I am pretty sure he/she is tucked back in my uterus pretty far. Between the heartbeat sounding so quiet last time and the fact that I am not having trouble buttoning any of my pants yet, I think he/she is hiding toward my back! So I wouldn't be surprised if it took a little longer to feel movement, but I'm still hoping for something soon. Update! I take that back, as I was editing this post, I felt a little nudge in my lower abdomen, and I am almost positive it was the baby! Oh my goodness, I love that feeling. What have I been doing for baby prep? I haven't been doing a whole lot to get ready, since Derek is still working on remodeling our upstairs bathroom. The house is a wreck! I was wanting to buy the crib a month ago, to get a head start, but now I'm glad I didn't because it would be buried beneath tile, and bags of grout, and bathroom fixtures. Still all my non-pregnancy clothes, and I probably will be for a while. I am stocking up on maxi dresses! I am thinking they will be nice and airy for being pregnant during the summer (I have heard the horror stories), and I can wear them when I'm not pregnant too. 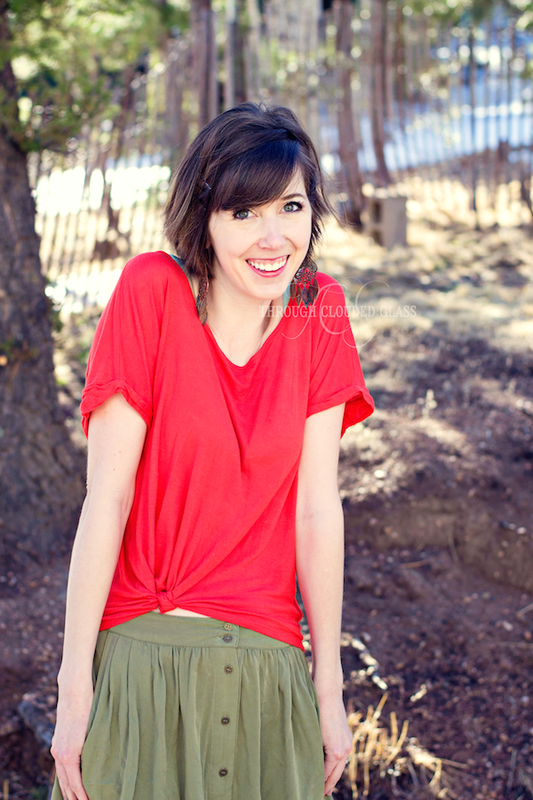 I am going to try to avoid buying maternity shorts if at all possible. Next appointment in two weeks! When I was four years old, I named our family's first purchased pet. We already had one dog, but my parents had just decided to get another one. We got a miniature dachshund, who was with us for years. He was adorable. He used to bound through the deep snow in the winters, and he was so short that whenever he landed he would disappear beneath the snow - so you would see him as he jump up and forward, then you wouldn't see him after he landed. We used to let him sleep on our beds at night, and we would argue sometimes on whose room he would sleep in. Most of the time my brother would win. Our little daschund would crawl under the covers and lick your feet until you fell asleep - which in hindsight could have been annoying, but as kids, we loved it. He was to tolerant of all of our childish schemes, and he was the perfect dress up dog. We even had a dog wedding with him once, as we dressed up both of our dogs in bride and groom attire and conducted a ceremony. But back to the naming. We picked him up when I was pretty little, and mom said we would let dad name him when he came home. I had an opinion on the matter though, and when dad came home I told him that he could name our new dog. "But," I said, "we could name him 'Winnie' or somethin'". You know, after Winnie The Pooh, my favorite cartoon ever. My dad is such a good sport, and Winnie was his name. I thought of our little Winnie dog when I read the book "Henry Hodges Needs A Friend". This is a cute book about how Henry Hodges is lonely, and his parents tell him they are going to get him a pet. Henry starts imagining about all the possibilities, and he ends up with a sad little dog, who he names "Happy". This book was so cute and imaginative, and the illustrations were adorable. I always loved slightly silly plays on things when I was a girl, and this book has many funny ideas of what Henry thinks his pet will be. I think it makes it really interesting for kids, to spark their little imaginations. The text also rhymes, and I am a huge fan of rhyming books for kids! I wouldn't necessarily recommend it if you don't have or want a dog, because Henry and Happy will probably make your kids want one! The lesson at the end was such a cute one too, about how God knows what we need when we are lonely or sad - and how our friends need us when they are lonely or sad too! This book will probably go on our favorites shelf. If you are a cat person, you may not understand (I kid - sort of), but dogs, can be such comforting little friends to have as a child. Dogs love you no matter how bad of a mood you are in, and there have been many times when I was upset or crying about something, and one of my dogs would crawl up into my lap and snuggle, or lick my face in an attempt to make me feel better. They love you even when your ugly side shows, when life is messy. 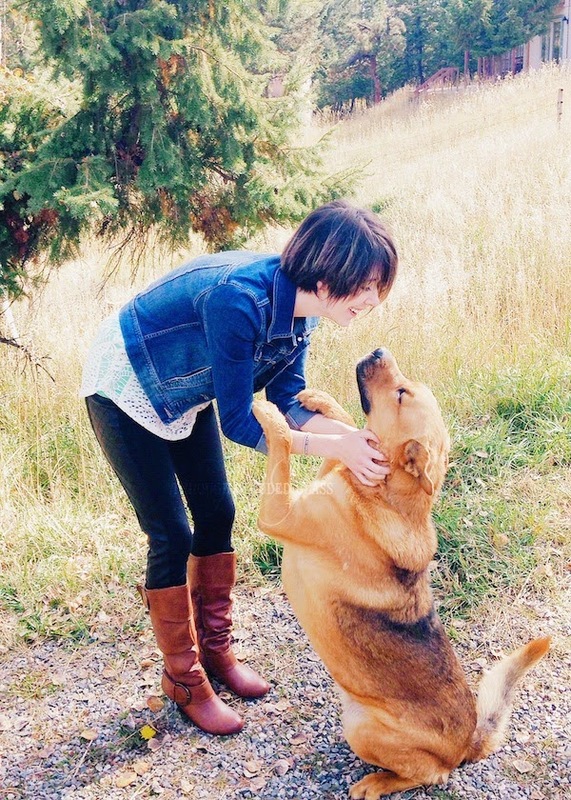 Sometimes you just need that little example of unconditional love and loyalty. I'll always be a dog person, and it all started with a short little dog I named Winnie. Did you have a dog when you were a kid? Will you get your kids a pet? And if you are a cat person, here's your chance to make your case. Comment below! 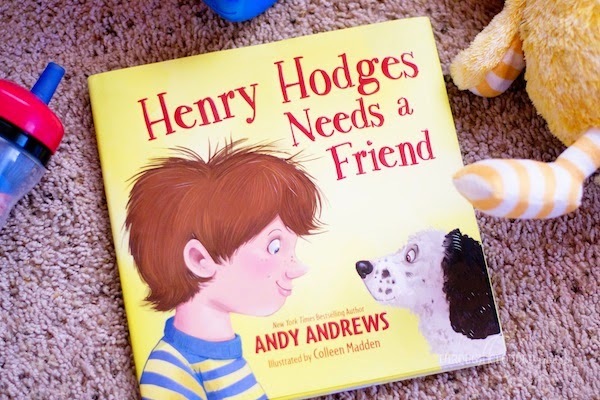 Tommy Nelson has also offered to give one of my readers a copy of "Henry Hodges Needs A Friend" - and I'm going to try something a little different and host the giveaway on Instagram! So if you don't already follow me on Instagram, you are missing out! To enter the giveaway, stop by my Instagram and check it out! The giveaway will end on March 31, 2015 at 12:00 PM EST! Note: I received a copy of "Henry Hodges Needs A Friend" from Tommy Nelson in exchange for a review. This is my honest opinion. 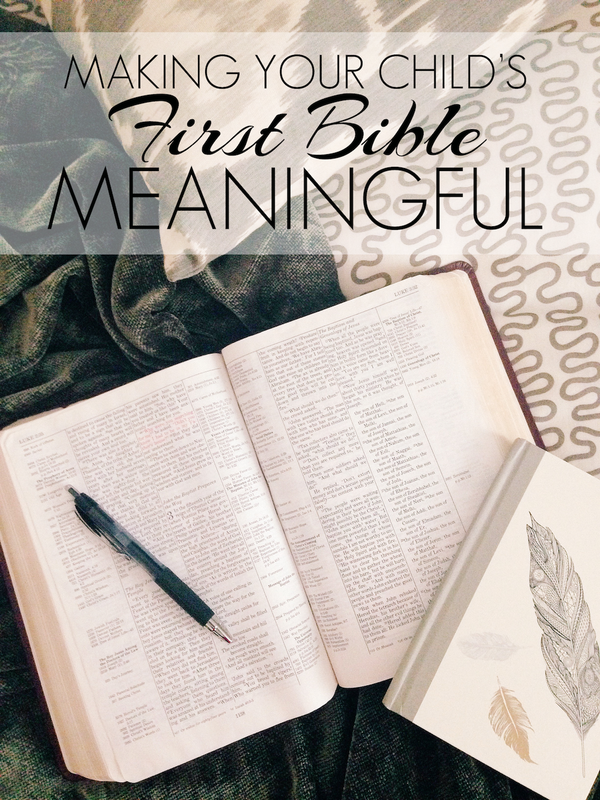 I'm on Tommy Nelson and FaithGateway today, talking about how to make your child's first Bible meaningful - and including my own story of how my parents and grandparents made my first Bible meaningful. "My children are pre-school aged. They can’t even read simple books yet, so it will be a little while before they will be able to read the Bible by themselves. Nevertheless, I have been thinking about the day that they are ready to pick out their first Bibles, and how I want to go about it. When I think of my first Bible growing up, the one that always comes to mind is a thick, leather-bound book, with my name embossed on the front and childlike letters written inside the front cover. When I was about nine years old, my grandma gave a challenge to all her grandkids – memorize Psalm 91 – and she would buy us our own Bibles with our names on the front, and take us to a fancy Japanese restaurant for dinner…"
Head on over to Tommy Nelson to continue reading! When did you get your first Bible? Did your parents (if they gave it to you) do anything to make it special? Yesterday was crazy, guys. It was probably one of the messiest days I've had as a mom - and by messiest, I mean that I was constantly cleaning up messes! It seemed like every time I turned around, one of the kids was getting into something. Even during what I thought was nap time, I came upstairs to find that the kids had been scattering toys about their rooms when I was blissfully unaware. I'm really not one of those insane clean freaks, normally. I've been known to make and leave messy areas around the house myself. But the unexpected messes. They bother me. At least they did yesterday. I wish I could say I handled it all with grace and kind words, but that would be a lie. I was frustrated, and it showed. I was thinking about it this morning, and you know what? This morning has been lovely so far. Granted I haven't been upstairs to see what the kids are doing at the moment, but still. This morning it is easy to remember that I love this. I love this mom job. I would so much rather be home cleaning up my kids messes than anywhere else. Because even on the bad days, Wyatt asks if he can give me a kiss, and Gwen comes running to me for comfort when she is hurt, and Clyde falls asleep in my arms on the couch. Every job has frustrating moments, but I don't know another job that has as many rewards to compensate as this one does. 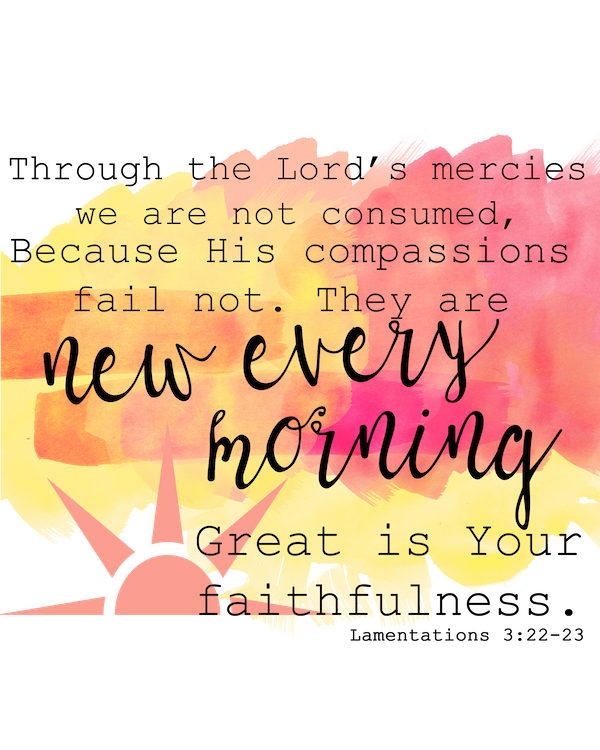 Every day is fresh, with no mistakes in it, and God's mercies are new every morning. Even for messes, and moms who in the midst of the chaos sometimes forget how incredibly blessed they are. I have a free printable of the image above, coming for my newsletter subscribers in mid-April! You can sign up to the right if you are not already a subscriber, or click here. Time For An Afternoon Treat! Naptime. As a mom of young children, I know that whether I use the time to check things off my to-do list, or relax and enjoy a fun snack, it is the one time of day when I can do something (anything) uninterrupted. Don't get me wrong, I love hanging out with my kiddos! They are ask much fun to be around, and I love watching them play or learn new things. I can't even get too annoyed when they are wanting my attention, because I love that they do want my attention - I love that as a parent I am the most important person in their lives, the person they can count on, the one they want to share all their precious little news with first. I love being that person. I love being their mom. But it is also nice to have a little time in the afternoons to just regather my energy for the rest of the day. My mom once told me that she wanted to cry when I told her I was done with nap time, and now I understand why! I am pretty lucky that my kids all nap at the same time (I'm pretty sure my luck will run out by the time Baby #4 gets here), but even when Wyatt doesn't nap, I have instituted "quiet time", which is a time for him to play in his room - quietly! Because sometimes moms still need a little chance to re-couperate in the afternoon. I used to try to squeeze everything possible into my limited nap time window, but with the fatigue that comes with being pregnant, lately I've been mostly using nap time to just rest, and maybe enjoy a snack. So today, I want to share one of my most recent snack creations! I am calling these Smothered Rice Krispies Treats. 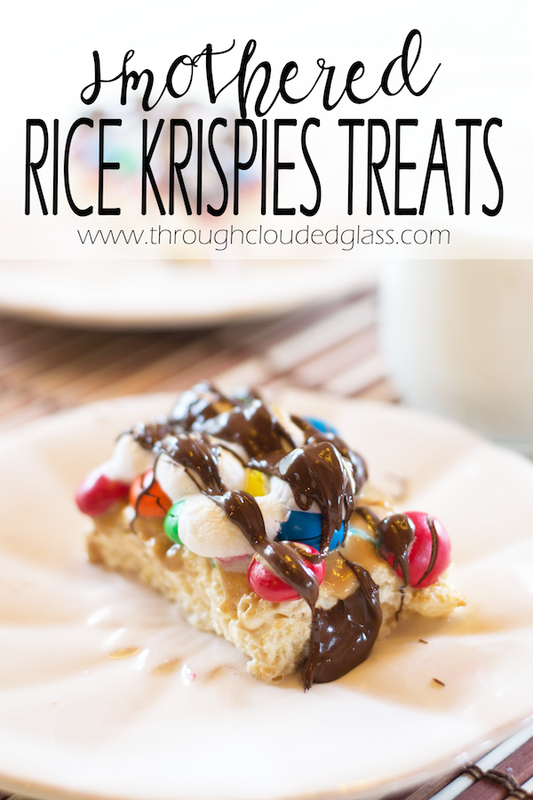 I recommend buying the packaged Rice Krispies treats, because they make this recipe a lot quicker and easier! I found mine at King Soopers. 1. Preheat your oven to 350 degrees Farhenheit. 2. Unwrap the Rice Krispies Treats, and place them onto an oven-safe plate. 3. Spread either peanut butter or strawberry preserves over the top of your Rice Krispies Treats. Add a layer of M&M's on top of each Rice Krispies Treat. I used Peanut Butter M&M's for the Treat with peanut butter, and Milk Chocolate M&M's for the Treat with strawberry preserves. 4. Add a layer of marshmallows over the top of the M&M's. Put Rice Krispies Treats into the oven for 5 minutes, or until the marshmallows start looking toasted. 5. In the meantime, put the chocolate chips into a microwave-safe bowl. Heat the chocolate chips in the microwave for 20 seconds, stir, and repeating the 20 seconds until they are completely melted. 6. Once the marshmallows on top of your Rice Krispies Treats look toasted, remove them from the oven, and immediately drizzle the melted chocolate chips over the top of the Treats. 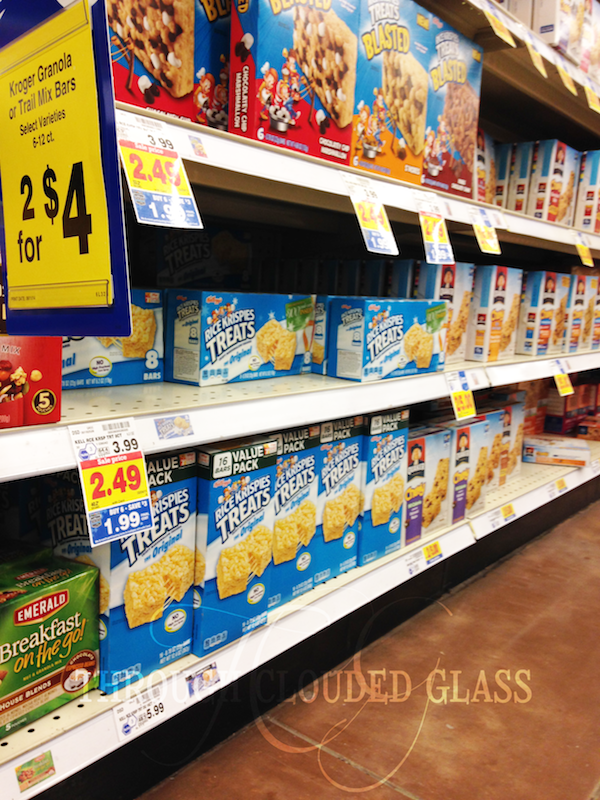 Enjoy your Smothered Rice Krispies Treats while they are still warm! One of the reasons I liked this invention was because they are so easy and quick to make, but they taste decadent! The peanut butter chocolate version is so gooey and good, and the one with preserves tastes like a chocolate covered strawberry. I let Derek have a taste after I made one for myself, and he asked me to make one for him later too! They are perfect for nap time because of how little time they take to prepare - and because if you have them during naptime, you don't have to share! You can also visit Kellogg's website for more Rice Krispies Treat ideas - you can also vote for your favorite recipe as part of a contest they are hosting - and there is a chance for you to win prizes - just by tweeting, pinning, or Instagramming your vote with the hashtag #RKTreatSweeps and sending a link to RKTreatSweeps@Kellogg.com. Check out the website for more details! What do you like to do during your kids' naptime? Through my teenage years I felt awkward. I didn't fit in. I think that's when clothes started to become a little too important to me. I would stress about wearing the "right" thing, the thing that would make me feel a little less like I was on the outside. As an adult, the pressure to wear the trendiest clothes is lessened, but I still let my feelings about myself in social gathering get wrapped up in the clothes I'm wearing. I don't think I'm the only one who feels that way. In the last year I have started to realize that my preoccupation with clothes and shopaholic tendencies are a sign that I am using clothes to fill a hole in my self-confidence. But the problem with filling holes with physical things is that the patch job doesn't last very long. 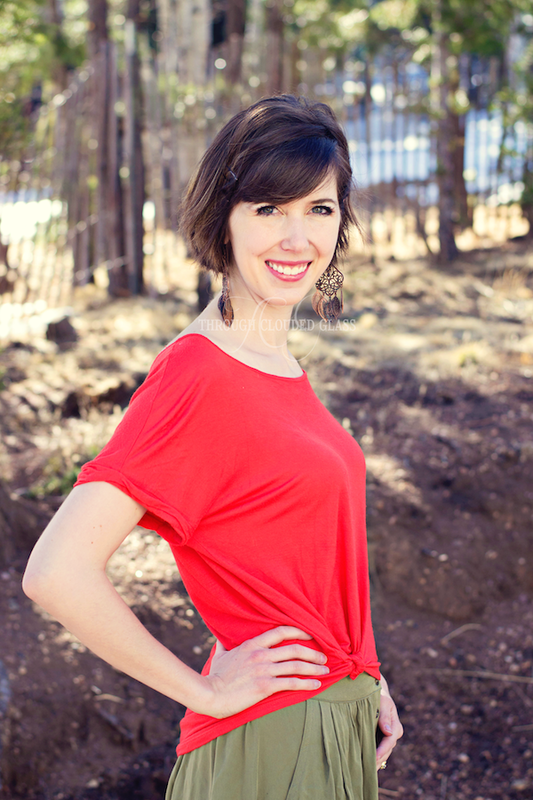 Head on over to Allison's blog to read my full story! This has probably been my most tiring pregnancy so far, but on the flip side, the nausea has been almost non-existent. I really only start feeling ill if I haven't eaten in a few hours - so I just snack a lot, and I've been good to go! By about 8:00 or 9:00 at night I am about to fall asleep where I stand. No late-night projects for me lately, but I am hopeful my energy will come back now that the second trimester is right around the corner! We went for my 12 week appointment yesterday, and the nurse had a hard time finding the baby's heartbeat at first - I was just about to freak out internally when I heard it, but it was so quiet! I am assuming baby was just swimming as far away from that annoying probe as he/she could. The funnest part of our visit was hearing Wyatt talk about the "new baby". First I should say that we told him about the baby after our first ultrasound, and he was so excited - he started saying "Yeah! And the baby's going to crawl, and he's going to walk, and we're going to have LOTS of babies"! I said there is only one, but there will be four of them total! He has been so cute about it. Yesterday, before we went in, Wyatt said "Mama, are we going in to get the new baby? ", and I told him that no, the baby has to stay in mama's stomach for a while longer. He then started talking about how the baby is "swimming in the water", and how my stomach is going to get bigger. He saw a brochure that had a silhouette of a pregnant woman with the baby's silhouette in her stomach, and he was fascinated. Then he started talking about how the baby needs to keep his/her eyes closed and go to sleep in my tummy. It was so cute! I'm not sure Gwen quite understood everything he was saying, but she also liked the brochure picture, and they were both interested in listening to the baby's heartbeat. I think this is going to be the most fun pregnancy as far as the kid's reactions go! Heartrate is 153 bpm, and apparently I haven't gained any weight, so I've been instructed to eat more calorie-rich foods. I probably haven't been eating as much as I could, but nothing sounds good. When I finally land on something that sounds like it might hit the spot, I try it, and it just doesn't taste good. Eating is just not fun right now. Unless it's vegetables, but those aren't exactly calorie-rich. Maybe I just need to make salads and slather them with fattening salad dressing. I have felt little fluttery feelings the other day, but I'm thinking it was probably not the baby because that is really early to feel anything. But you can bet I'm on the lookout for any movement! I think I felt Clyde around 15 weeks, so maybe this baby will be slightly sooner (a girl can hope). Next appointment is in April 13th, and then in the middle of May we find out the gender! Note: Excuse all the words interrupted by dots in this post - I just don't want certain search terms linked to my blog. I think I first heard of "Fifty Shades Of Grey" two and a half years ago, when a fellow blogger mentioned that it was on her to-read list. I really had no idea what it was, but I quickly learned enough to decide it wasn't a good thing and avoid it. Only later did I realize just what exactly is in this book, and the damaging effects this type of "literature" is having on women and the culture. I have not read "Fifty Shades Of Grey", and I will not see the movie. I don't think I have to read it to have an intelligent conversation about it. But I know enough to be deeply concerned. From what I can tell, this book (and/or movie) is full of abuse, even ra.pe, and it is somehow wrapped up in a romantic package. I don't care if there is some sort of "redemption" at the end, romanticizing and promoting abusive se.xual relationships is not okay. I like to be informed on cultural issues. I don't think Christians should bury their heads in the sand about anything, we should be able to address issues and defend the biblical perspective. For that reason I picked up a copy "Pulling Back The Shades: Erotica, Intimacy, And The Longings Of A Woman's Heart" by Dannah Gresh and Dr. Juli Slattery (who used to be a co-host of the Focus On The Family Radio broadcast). In this book, Gresh and Slattery address this genre of literature, why it is appealing to women, why it is ultimately harmful to women, and how we can and should address this issue as Christian women. I got so much out of this book, even though I have never read ero.tica. 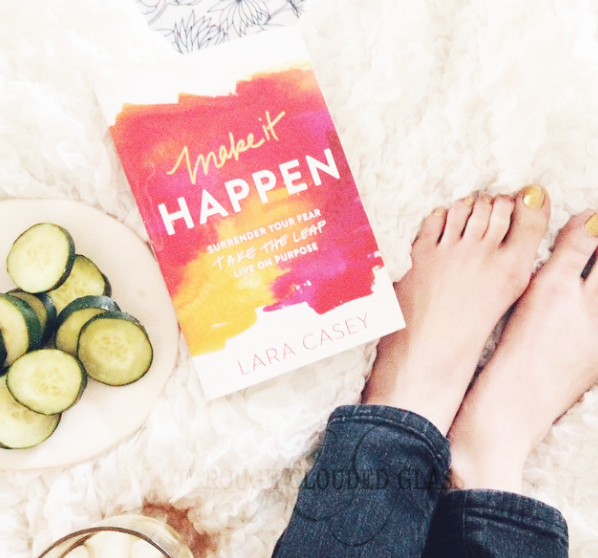 This book challenges you to look at your own heart and s.ex life to see if there is anything that is preventing you from reaching true intimacy, and I appreciated a lot of what it had to say. I have always felt a little wary about even some Christian romance novels when I feel they are getting a bit too descriptive, or TV shows that focus too much on s.ex - because I know the effect that can have on me, and I know it's slippery slope. This book challenged me to keep a vigilant eye on what kind of things I allow into my mind, and it was encouraging to realize that I am not being a prude by limiting what I watch and read. I just want my se.xual excitement to come from my husband alone - that is God's plan and ultimately it will make our s.ex life healthier! This book also gave a lot of talking points and food for thought on why ero.tica is harmful, and I think it was really good information for me to have, even though I've never read it. I think it would be that much more helpful to someone who is currently struggling with an interest (or addiction) to ero.tica. And I just want to say, lest anyone think this book was a big list of "don't's", that ultimately this book had themes of hope and freedom. Hope to overcome se.xual addictions, and a hopeful message of the kind of freedom and pleasure that is available when women are brave and strong enough to stick to God's plan. Whether or not you have read "Fifty Shades", "Pulling Back The Shades" is worth a read. Note: I received copy of this book for free from the publisher in exchange for this review. This is my honest opinion. Note: For current pictures of Baby Clyde, stop by by my photo blog or sign up for my newsletter! Well, my itty bitty boy is less than a month away from being one year old! How did this happen? Clyde is just so much fun lately. He has definitely been trying to communicate more, and he has tried to say several words. His favorites are "dah" (dog), "dada", "hi", "bah" (bottle), and "mama"! Yes, he now says "mama". You have no idea how happy that makes me. I do not know why, but my both my boys' first word was "dog"! Clyde also babbles in the cutest little way right now, and I love it. Clyde wants so badly to be able to keep up with Wyatt and Gwen - I can just see him watching them run around with longing in his eyes. But he is well on his way! This month he started pulling up on things, and now he pulls up to his feet! This also leads to issues, like when he tries to pull up on an unstable chair, or when he somehow climbs out of his crib! None of my kids have ever managed to climb out of their crib, until now. But eleven months seems a bit early (ha!) to move him to a toddler bed, so I'm just hoping it doesn't happen again. Clyde has been developing his sense of humor, and it is just hilarious when he really gets to laughing! I love it. He has also been paying games back at me, and "patty cake" was a big hit the other day. He has officially become another blanket kid! Wyatt and Gwen both have their favorite blankets, and now Clyde has his. Thankfully he picked a blanket for which we have an almost duplicate, so I can wash one while he is using the other! It is so cute how all my kids have their favorite blankets, but I am a little flabbergasted that none of them seem to be very into stuffed animals. I was a teddy bear girl myself. Even though his doctor has repeatedly told me that he is in the 8% for weight, I didn't really believe it until this month. I thought he seems to be the same size as Wyatt and Gwen were. But the child is eleven months old, and he still fits in some of his 3-6 month jeans! I am curious to take him in for his 12 month appointment soon, so I can really compare his size with the other two at this age, because now I am not sure! Sleep has been so much better over the last month or so - usually he just wakes up at 4:00 AM, and then he'll go back to sleep until 7:00 or 8:00. I can deal with that! I actually don't mind the 4:00 feeding, because it gives us good early-morning snuggle time. His hair is getting a bit long, but it curls around his ears, and I just can't bear to cut it! 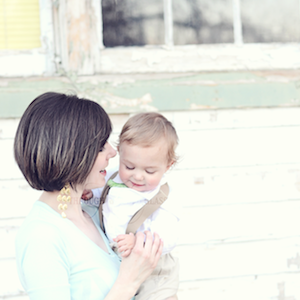 I want to wait until after we take some one-year-old pictures, because I just love the way it curls. I am busy trying to figure out what to do for his first birthday party - I think I have finally picked a theme, and as you read this I am probably at Hobby Lobby picking up some supplies! First birthdays are fun, but this whole year seemed to go by too fast. I can't believe how big you are getting! I can see more and more of your personality developing every day, and it is so much fun. You are such a happy baby, and we get comments from the church nursery workers all the time about how smiley you are. You love when people talk to you or play with you - and you are most unhappy when you think you have been left alone or ignored. You are getting so much more playful, and the other day you leaned forward into my face with your little eyebrows raised, trying to make me laugh (and you succeeded). I just love watching you grow, sweet boy. As a dental hygienist, I am asked quite often about whitening. And that is totally understandable - who doesn't want whiter teeth? There are a lot of professional-grade treatments that are available, but the truth is, there is no such thing as a one-time whitening treatment. Most likely you are going to have to repeat any whitening treatment within 6-12 months, and treatments have the potential to be quite expensive. I think a lot of times my patients are wondering if there are any easier things they can do to keep their teeth looking whiter. And I have good news - there are a few daily habits you can create to maintain whiter teeth and a more beautiful smile! Here are my tips. 1. Brush and floss. And I'm not just mentioning this because I am a hygienist and it is hard for me to talk about anything dental-related without recommending more brushing and flossing! Cleaning your teeth properly helps prevent staining. If you want a more beautiful smile, brushing and flossing daily is the foundation. Even super-white teeth aren't pretty if they are surrounded by puffy, red, bleeding gums. And whitening won't do you much good if periodontal disease (inflammation of the tissues surrounding your teeth) puts you at a higher risk for losing your teeth. It's important to keep your teeth's foundation healthy first, and that means regular and proper brushing and flossing. 2. Avoid staining foods and drinks. Some foods are going to cause staining and yellowing of your teeth more than others. A few of the big ones are coffee, tea, red wine, and blueberries. If you want to keep your teeth whiter, you might limit how much of these staining foods and drinks you take in. 3. Rinse after staining foods and drinks. Even though avoiding foods and drinks that stain your teeth is your best bet, let's be realistic here - you can't avoid these foods completely. As a young mom, I know that personally I can't live without my coffee! So what do you do if you do consume something that might stain your teeth? If it's a drink, see if you can use a straw to avoid contact with your front teeth - then after eating or drinking a staining food, rinse your mouth out with water or a fluoride rinse. 4. Use an electric toothbrush. As a personal observation, I notice my teeth look whiter when I am using my electric toothbrush (as opposed to when I am just using a manual toothbrush). Not only that, but electric toothbrushes are also great for your gum tissue, so it is definitely something to check out. 5. Use Colgate® Optic White® Express White toothpaste. This toothpaste has twice the amount of whitening ingredient (vs. 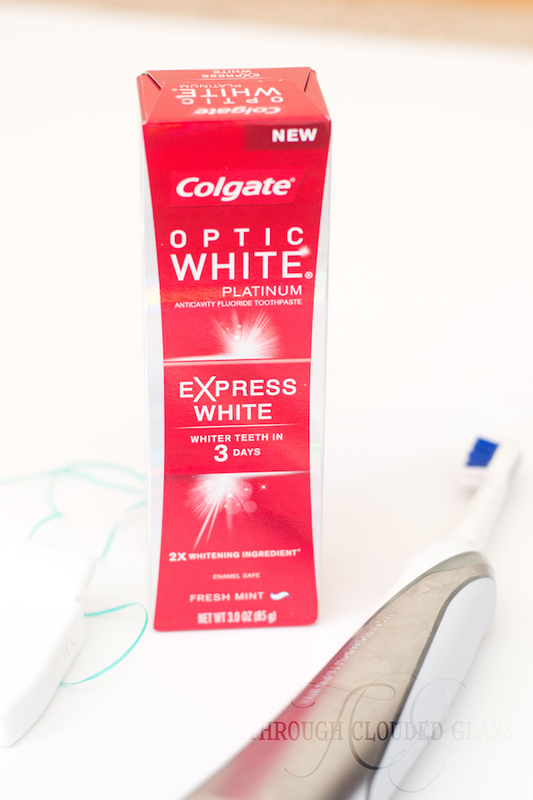 Optic White Sparkling Min toothpaste), and can even give you results in three days*! Just with brushing. That sounded like a winner to me! 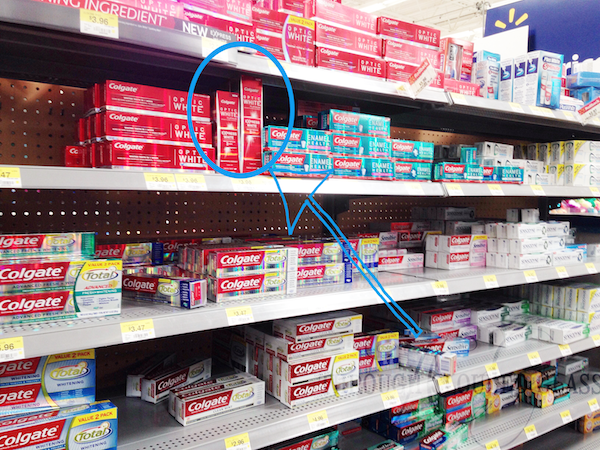 I went on a hunt at Walmart for the toothpaste, and the box looks really similar to the seven day version - so make sure it says "Express White", and "Results in three days*". 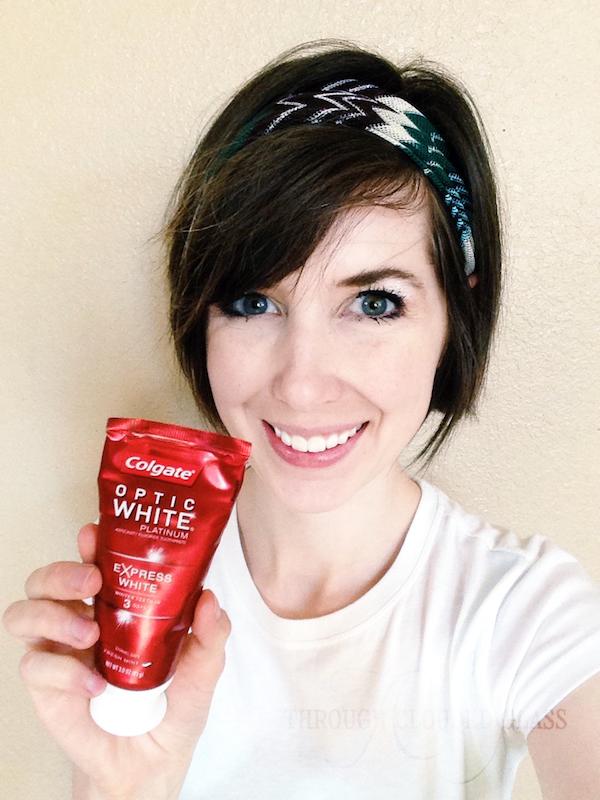 I'm excited to keep using Colgate® Optic White® Express White to see what kind of difference it makes in the whiteness of my teeth! Derek recently stole it from me to give it a try too. It's nice because I haven't had the extra cash or time to use any sort of professional whitening treatment in a while, and this is a great option for maintaining and hopefully improving the color of my teeth. If you are interested, I know that there is going to be a store demo in Walmarts, and representatives will be handing out coupons, so that might be something to check out! You can see this store list to see if there is going to be a demo near you. What do you guys think? 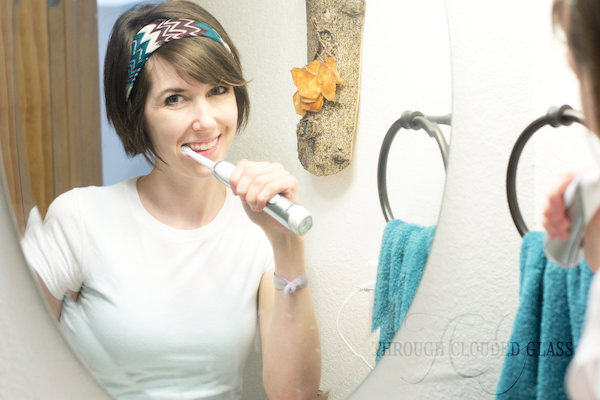 Have you ever whitened your teeth? 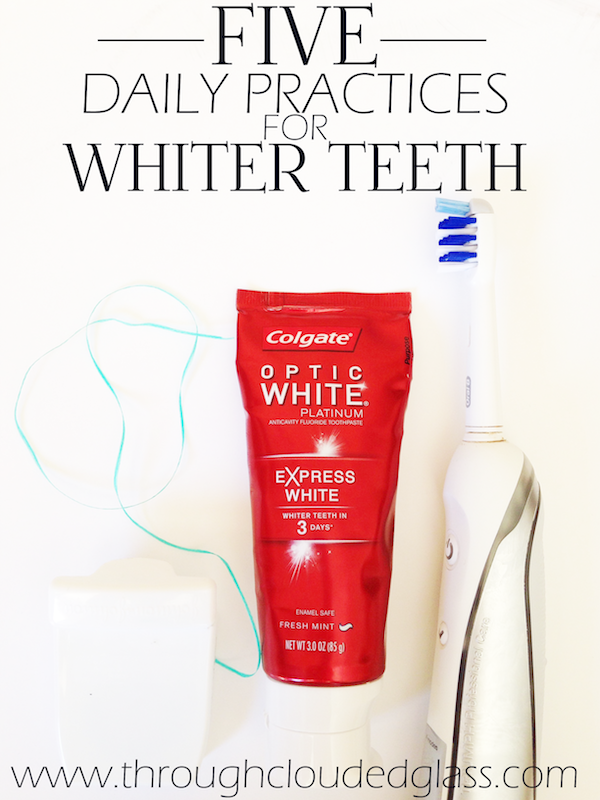 What do you do on a day-to-day basis to keep your teeth whiter? 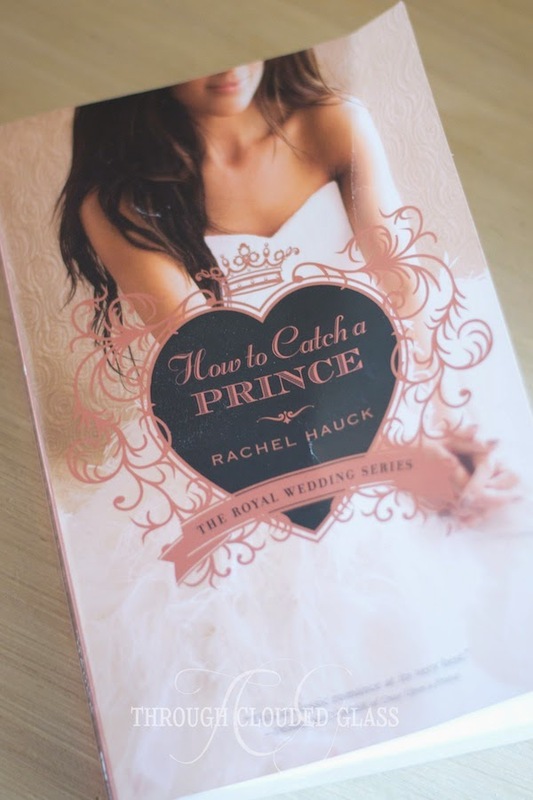 "How To Catch A Prince" by Rachel Hauck introduces us to Corina Del Rey, struggling to come out of mourning over her brother who died five years ago in war, and the subsequent dissolution of her marriage to Brighton's Prince Stephen. But when Stephen finds out their marriage was never properly annulled, he shows up in Corina's life again and awakens old feelings. Stephen never wanted to leave Corina, but felt he had no other choice because of the secret of how her brother died. But then Corina travels back to Cathedral City, and they must face their past as their secrets come to light. On the one hand, how can I not appreciate a good princess story? The story was interesting, and progressed nicely through the book. I thought the character growth was good, and the author has a way of transporting you into the places she describes. The scenery in this book was beautiful, the gowns were gorgeously described, and there were many romantic moments. The girl in me enjoyed it. On the other hand, there were several things about the book that I didn't like. When in Cathedral City, Corina ends up staying at "The Manor", an old inn that no one else seems to be able to see. The proprietors know things about her that they couldn't possibly know, and Corina just chalks it all up to God guiding her. If I were her, I would have been more suspicious. The proprietor of the inn (who I am assuming is supposed to be some sort of angel? ), makes a comment about how Jesus prays for Corina. That just doesn't make sense, biblically. Jesus did pray in John 17 for all future believers while he was here on earth, and He intercedes for us in Heaven now (Hebrews 7:25), but Jesus "praying" for us now? To whom would He be praying? Jesus is God, and the author even says that in the book, so I just didn't get that. Maybe she interprets "interceding" as "praying", but it's not the same thing. I didn't like the choice of words. There was a reference to God interacting with Corina by "brushing her skin" or "tapping" her forehead, and I found that all very odd. There were references to "auras", and I thought the characters' "encounters" with God were too mystical. In one scene God's presence is described as a "heavy, oily presence". I didn't like that. All of this adds up to a New-Age-y, mystical version of Christianity that I don't agree with. In the discussion questions, the author says that to her, the proprietors of the inn symbolize God's interaction in our lives. I don't think that is sound. While there are some situations where I do believe God sends His angels to earth (there is that verse about entertaining angels in Hebrews 13:2), I don't think semi-creepy people who know way too much about our personal lives, who live in houses that no one can see and that suddenly disappear, are the way God interacts in our lives. Nor do I believe that we should be looking for God to guide us through brushes or taps that we feel on our skin. And though sometimes we might hear His still, small voice (1 Kings 19:12), the primary way He interacts with us now is much more simple, and perhaps less "romantic". He interacts with us through His written Word. He has told us everything we need to know to follow Him through the Bible, and that was one thing (that is generally rather important to Christians) that was never mentioned in this book. And on a more frivolous note, I also thought Stephen's reasons for wanting to call the marriage off were selfish. He didn't want to be around Corina because she brought back painful memories, and while I can feel bad for the character's pain, that is not a good enough reason to break up a marriage. I don't feel like he really thought about Corina's feelings much throughout the book, except to assume she would feel the same way as he did if she knew the truth. He never even acknowledges the pain he put her through. He only really thought about his own pain. I don't think that is very princely. Overall, even though the author might have been just trying to make the story a little more "magical", and even though I thought the plot by itself was interesting, I couldn't get past all the mystical nonsense. I don't really recommend this book. Note: I received a free copy of this book from Litfuse Publicity in exchange for this review. This is my honest opinion. 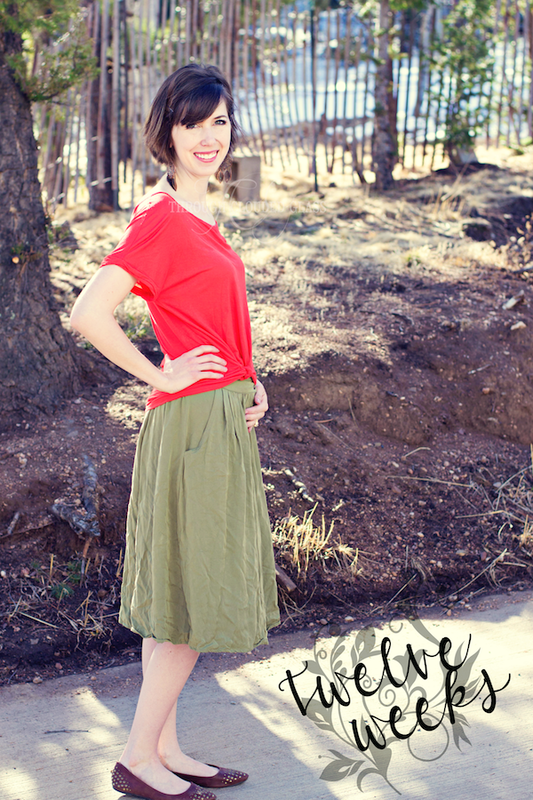 So I am finally getting around to writing a first trimester update! After we found out I was pregnant, I didn't have many more symptoms that I wasn't having at the start - just tired, slightly sore chest, and having to use the bathroom more often. By five weeks I was feeling pretty normal again. Between six and seven weeks I started to feel a little queasy, but this pregnancy hasn't been too bad as far as nausea goes! As long as I snack throughout the day, I feel fine. I only really start to feel sick if I haven't eaten in a while. I've always been blessed to not have much morning sickness, and this time pregnancy has been the easiest yet. Around eight weeks I started just feeling - I don't know, rounder? And this is me at ten weeks (I am eleven weeks now). I feel like the stomach just sticks out a little more - it's just bloat at this point, I'm sure. But I haven't gained any weight according to my scale, so I know things are shifting because of baby! I always think of those orange circus peanut candies at weeks ten and eleven, because that is just about the size of the baby right now! So just imagine me holding one of those. Right now, I am feeling pretty good - mostly just very tired. I think I am more tired this pregnancy than any of the others, and I am sure that is in part because of chasing three other kiddos around! I have started to get a bit of sciatica, mostly after I work on Fridays. I feel twinges and pressure that feel like ligaments stretching or pulling - and I'm sure that's what it is, because I imagine all that starts earlier in a fourth pregnancy. People have asked me if I think it is a boy or girl, and I have been evaluating my symptoms. With the boys there were a few distinct symptoms, and then with Gwen there were a few distinct symptoms, and unfortunately this pregnancy is giving me mixed signals. My nails are horrible right now, and I think generally salty things seem better than sweet things - and that seems to be pointing to boy. But then with both the boys my chest hurt a lot more, and there are other symptoms that are a bit TMI for a blog post seem to be pointing toward girl. So I don't really know! I am curious to see what you all think! I have another doctor's appointment next week, so I'll give an update on heartrate then! I don't know about you, but it is easy for me to fall into a prayer rut - where I find myself using the same 'ole words, to pray the same 'ole things, from day to day. I do this when I am praying by myself, but also when I am praying for my kids at night. I don't like getting into my prayer ruts when I pray with the kids at night, because I don't want them to get bored hearing me pray in the same way every night - and I don't like it when my own prayers start to feel stale, because then it is so much easier for my mind to wander. I think the reason I do that is because there are a few core things that I want to pray for each night when we say our bedtime prayers, and it's hard to think of new ways to say it! To me, it's a constant battle to keep my personal prayer time, and prayers with the kids, interesting and fresh (I hope I'm not the only one who has trouble with this). I think this is something that is worth paying attention to, because being able to come near to God in prayer is a huge privilege - and we can come boldly because of what Christ did for us on the cross! Something like that should never become boring, and it's something I want to work on. I listened to a Focus On The Family broadcast the other day, and the speaker recommended trying to put theology into our daily, habitual prayers. I try to do that when I pray with the kids, but I realized that I could do a better job of it. I have been challenged lately to try to re-word things, and sneak more theology into my prayers with the kids. So instead of "Please protect us while we sleep", it could be "Thank you, Lord, that you are so powerful, and in control of everything, and that You are always with us - thank you that you are able to protect us while we sleep, and we pray that You would." Or instead of "Bless this food to our bodies", it could be "God, we know that you have made everything, including out food, and we thank you that you have provided this meal for us. Thank you for the way you have wonderfully made our bodies to use this food for energy, and please protect us from any germs we might not know about." Something like that. Those are kind of long examples, but you get the idea. Another fun resource for ideas on changing up day-today prayers is Max Lucado's "Treasury of Bedtime Prayers". Don't let the title fool you, because there are prayers for every time of day in this book! As I was reading through it I was gathering ideas for changing up some of my wording when I pray with the kids. The kids have also really enjoyed sitting and listening to the poems, Bible verses, and prayers in this book. Gwen has especially liked it - this book is just her speed, I think. I think she likes the rhythm of some of the poems, and the pictures are adorable - lots of cute woodland creatures and outdoor scenes. I think the illustrations are what make this book special to me - these are the kind of pictures I loved to look at in books when I was a girl! We haven't read through all the prayers yet, because this book has a lot of them, but I have loved every one I have read so far! I think it is a great tool to focus the kids (and myself) on God's goodness right before bed. I love the idea of focusing on theology and who God is during prayer, for a couple reasons - first it's a good way to sneak biblical truths into the kids brains without lecturing. And second, when you remember how great is the God to whom we pray, it is hard to stay bored! It is amazing that such an incredible God takes the time to listen to us. It reminds me of Psalms 144:3 - what are we that God pays attention to us? Prayer is something special, and I don't want to forget that. 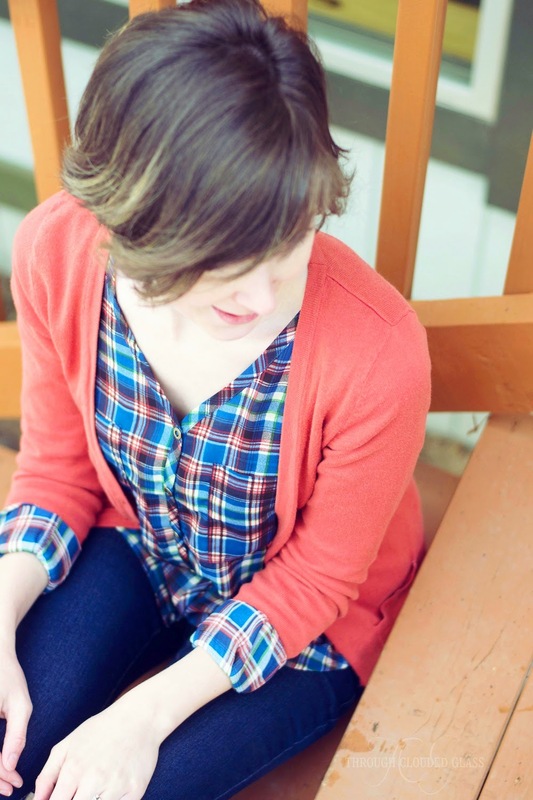 Am I the only one who gets stuck in "prayer ruts"? What do you do to keep your prayer time fresh? Note: I received a copy of :Treasury Of Bedtime Prayers" for free from Tommy Nelson in exchange for this review. This is my honest opinion. "Betting On Hope" by Debra Clopton is a novel about Maggie Hope, and advice columnist who finds herself roped into interviewing a famous cowboy, Tru Manahan. After an accidental bet is made on whether Tru can teach Maggie to ride a horse, the two find themselves thrown together as Maggie moves to Wishing Springs to write about her journey to learning to ride. This book was a cute romance novel. The characters had some obstacles to finding true love, but nothing too deep or dark. I find it frustrating when characters let their secrets keep them apart in some Christian romance novels, because it often seems like the difficulties are ridiculously exaggerated. I am happy to report that this was not the case with "Betting On Hope". The characters themselves didn't overreact to the drama of it all, and their internal struggles seemed appropriately proportionate to the obstacles they faced, which I appreciated. I loved the secondary characters in this book. All the typical small-town nosiness was present in the story, and I loved it. It made the story more fun and charming. I actually wish the author had intertwined some of the secondary characters who were a part of the town into more of the book, but I liked the side-plot with Jenna, a pregnant teenager who finds herself at a home for teen mothers in Wishing Springs. While I appreciated that the drama in this book wasn't over-played, I did feel like too much of the book was focused on the two main characters internal reactions and feelings - I would have liked more light-hearted banter, or town events, or something to break up all the self-reflections. The main characters were likable though, and I thought the ending was fun. If you want a light Christian romance read, this was an enjoyable one. You can also enter to win a Kindle Fire to celebrate the book's release by clicking here! I recently finished reading "Killing Christians" by Tom Doyle, and I have to tell you guys, this book might make my top ten list for the year. It's still early, but this book was so good. I picked up this book thinking it would be like a different book I read a couple years ago that gave a lot of stats and facts about persecution of Christians around the world, and it was totally different than what I was expecting, in a good way! This book has eight main chapters, and each chapter reads like a chapter of a fiction book - except the stories that are told are not fiction, they are real. These stories are specifically focused on Christians in the middle east, so it is especially applicable to what is happening today. I'm not going to sugar-coat it - these stories are brutal. The types of suffering that are described in these pages are horrific, and in a lot of ways it was difficult for me to read. I can't imagine going through what Christians in the middle east (especially converts from Islam) endure, and the way they endure it with such courage and faith is inspiring. It may not be easy to read, but it is so important to be aware of what our brothers and sisters are suffering so we can pray for them! I especially loved one line at the end of the book. "Even though personal hostility, danger, and martyrdom may not be present in your life, there is something else you are experiencing: you are suffering. Did you know that? . . . Your connection to those living in persecution is stronger than you may think - if one suffers, we all suffer. That is why you recently may have felt unsettled, angry, or disoriented by the pervasive evil in the world and overwhelmed at the bombardment of Christians globally as you view it on television or read about it online or in print media. You should feel this way. After all, it is an attack on your family." That so perfectly describes how I have been feeling lately every time I hear about Christian kidnappings or executions in the news - it is almost a physical pain, and it finally makes sense to me why it makes me feel that way. We are the body of Christ. We are more connected than we realize. I think it is so important as Christians to not forget those of our brothers and sisters who are being persecuted and killed. It is tempting to turn off the news, close the windows on our computer and not think about it, but we can't do that. Our family needs us. They need our prayers, every single day. We should be petitioning our Heavenly Father on their behalf. We shouldn't let them suffer and die with no notice. I just wanted to close this post with a resource that was shared at the end of this book, called 8thirty8. This is a challenge to set your phone for 8:38 PM each day, and when the alarm goes off, take a minute to pray for our brothers and sisters in Christ who are being persecuted. There is also an 8thirty8 Facebook page that will give you specific updates and situations to pray for. It hurts to feel so helpless, but there is always something we can do - we can pray. And "Killing Christians" and 8thirty8 are great inspiration for doing just that. Note: I received a digital copy of this book for free in exchange for this review. This is my honest opinion.